"The CCWG-Accountability also recommends that in a situation where the GAC may not participate as a Decisional Participant because the Community Power is proposed to be used to challenge the Board’s implementation of GAC consensus advice and the threshold is set at four in support, the power will still be validly exercised if three are in support and no more than one objects, with the following exception: Where the power to be exercised is recalling the entire Board for implementing GAC advice, the reduced threshold would apply only either after an IRP has found that, in implementing GAC advice, the Board acted inconsistently with the ICANN Bylaws, or (1) if the IRP is not available to challenge the Board action in question. If the Empowered Community has brought such an IRP and does not prevail, the Empowered Community may not exercise its power to recall the entire the Board solely on the basis of the matter decided by the IRP. It may, however, exercise that power based on other grounds." "... We will now proceed and send the finalized report, without (2), to the Chartering Organizations for approval." --CCWG Co-Chairs Tue Feb 23 18:13:48 UTC 2016. 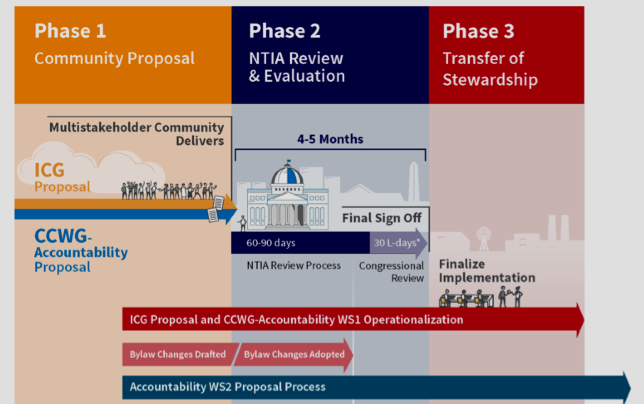 The Chartering Organizations will have 15 days (through March 9, 2016) to approve the Final Report so it may be submitted to the ICANN Board for transmittal to the NTIA on March 10, 2016 (at ICANN55), see updated timeline below. As you are aware, we intended to publish our Final Report today (19 February 2016) for Chartering Organization consideration. We are ready to do so, except for one issue where we would like to consider options as a full group. There is, still, ongoing discussion on the issue of thresholds for Board removal in Recommendation #2, which raised concerns in our report after we came to a compromise on Board consideration of GAC Advice (Recommendation #11). Since then, we have tried to propose compromise text that would be acceptable by different groups (c.f. the 12 February and 17 February drafts, posted at https://community.icann.org/x/iw2AAw). We received comments on this issue, and in some cases, minority statements, from members and participants in the ALAC, GAC, GNSO, and the Board. Earlier today, ICANN Chairman, Steve Crocker, posted a *note [see below], apparently on behalf of the ICANN Board, outlining Board concerns with the latest attempt at compromise text proposed on 17 February: http://mm.icann.org/pipermail/accountability-cross-community/2016-February/011056.html. While these last minute interventions are deeply disappointing for those of us who worked extremely hard, within the group and within their respective communities, to build bridges and promote compromise, our main target and duty remains to achieve a stable level of consensus, respecting the bottom-up, multistakeholder nature of the process. It is fortunate that the Board provided this input before we published the report, since it enables us to assess the potential consequences of a Board disagreement later in the process. We believe this issue must be discussed before sending our Final Report to Chartering Organizations. At the very least, we would like the opportunity to discuss a way forward and process as full group on next Tuesday’s CCWG-Accountability call at 06:00 UTC. There are many options and directions the group can take at this stage, each with different implications and considerations, and these options should be discussed as a group. Until the Tuesday call, let’s keep open channels of communication on our mailing list and work towards a solution. We will also reach out to the Chartering Organizations to inform them of the change in our schedule. As co-chairs, we renew our call upon every Member, upon every Participant, our call upon community leaders especially in the ICANN Board, in the GNSO and in the GAC to step away from confronting each other, to engage constructively and recognize each other’s value to the multistakeholder model. If you believe that the multistakeholder model can deliver, now is the time to act accordingly. The Board has a serious and continued concern about the issues being raised that may result in the reduction of the GAC’s ability to participate in community decision making. This is most noticeable in the question of thresholds for board removal, however this is not an issue about removal or even thresholds, it is one part of the community being (or perceiving that it is being) sidelined. The Board’s concerns with this issue are not about Board removal, but about maintaining the balanced multistakeholder model. The Board is against any changes to the long established equilibrium and fairness among the different stakeholders within ICANN. The Board has long supported a threshold of four participants for Board removal in the ultimate escalation method proposed by the CCWG. Selecting one portion of the ICANN community and removing them from the equation - just through the ability to say that the community is unhappy with the acceptance of GAC advice that is within ICANN’s bylaws - raises significant concerns about how the multistakeholder model, and the ultimate stability of ICANN as an organization, can be maintained. This carved out exception undercuts the established role of governments within the multi stakeholder process, and could introduce new issues with the acceptance of ICANN’s model undermining the work of the CCWG. We understand that there are concerns with this path from within other parts of ICANN community, including members of the GAC and ALAC. 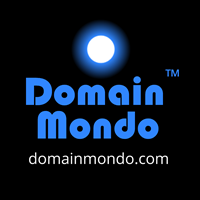 The best course, in our opinion, would be a careful and objective discussion of the whole matter of how advice from ALL parties is appropriately considered within ICANN. If there is a graceful way to remove this matter from the immediate pressure of the deadline of submitting this proposal and make it a priority matter for either the implementation phase or Work Stream 2, we think there will be a solution which is genuinely good for everyone. We encourage you to share the CCWG’s proposal with the Chartering Organizations while the dialog on this outstanding point continues. 12 Feb — Report sent by 22:00 UTC to the CCWG Leadership Team and CCWG Legal Counsel for review with all materials posted on the Wiki (https://community.icann.org/x/iw2AAw) for everyone to view. 15 Feb — Report updated (if needed) to incorporate edits from CCWG Leadership Team and Legal. 16 Feb 17 Feb — Report sent to CCWG for 48-hour review (and posted on the Wiki at https://community.icann.org/x/iw2AAw). 17 Feb 18 Feb at 17:00 UTC – Minority statements due for incorporation into Final Report. 18 Feb 19 Feb further DELAYED (see UPDATE above) Final Report sent to Chartering Organizations* for consideration and approval on February 23, 3016. 25 Feb – CWG-Stewardship sign-off letter delivered to Chartering Organizations, then to ICG. By 9 Mar at the latest** – Sign-off on Final Report by Chartering Organizations* at ICANN55 in Marrakech (in time for the Board to consider). 10 Mar – Public ICANN Board of Directors Meeting (final day of ICANN55, Marrakech), hand over from ICANN Board to NTIA. **the Chartering Organizations will have 15 days (Feb 24-Mar 9) to read, review, discuss and approve the CCWG-Accountability final draft proposal on Work Stream 1 (WS1) enhancements to ICANN accountability necessary in order to transition the IANA stewardship from the U.S. government to ICANN.